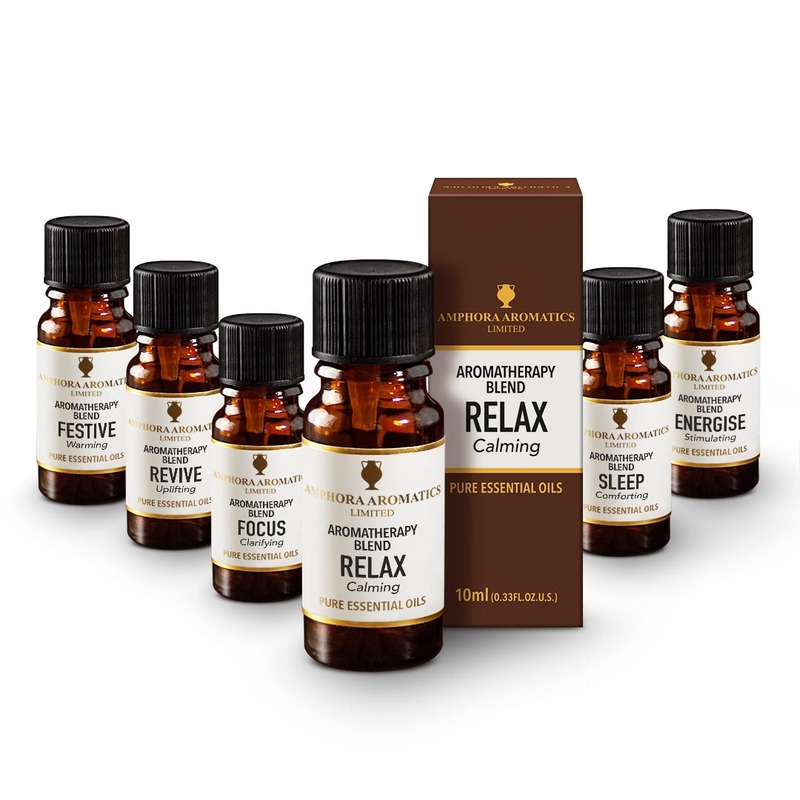 New Pure Essential Oil Aromatherapy Blends to Suit Your Mood - Amphora Aromatics Ltd – Supplier of pure essential oils and aromatherapy Products. some are suitable for steam inhalation and for adding to a carrier oil for massage. All priced at only £7.50 for a 10ml bottle. SLEEP comforting A relaxing and balancing blend of Juniper, Patchouli and Lavender gently soothes you to sleep. Comforting and warming Orange, Marjoram and Howood help combat insomnia by working to calm restlessness and anxiety - promoting peace and tranquility. For use in diffusers, burners or for steam inhalation. REVIVE uplifting Raise the spirits with this blend of warming Clove and Cardamon combined with refreshing Lime, Peppermint and Grapefruit – all working to boost confidence and encourage positive thoughts. 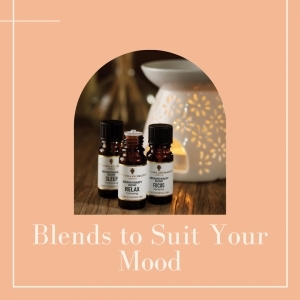 Uplifting and stimulating, it also helps you to combat tiredness and nervous exhaustion. For use in diffusers or burners. FESTIVE warming Create a festive mood with this spicy and warming seasonal mix of fruity Orange, exotic Cinnamon and spicy Clove. Comforting and restorative, this blend can also help boost energy levels and starve off colds in the winter months. The perfect way to relax, unwind and entertain family and friends. For use in a diffuser or burner. We hope you enjoy these wonderful blends!